Mitragyna Speciosa, otherwise Known as Kratom is tree that is native in Southeast Asia. This includes Indonesia, Thailand, the Malaysian Floristic Region and surrounding areas. The leaves of this incredible herb are usually ground in to a powder and consumed in many different way, like in capsules or tea. 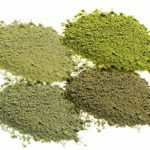 There are many amazing medicinal properties of Kratom. It treats Chronic Pain, Anxiety, Hypertension, Fatigue, and will Increase Focus. It is also used to Relieve Irritable Bowel Syndrome. Many people use Kratom to simply increase their energy much like you would with coffee. 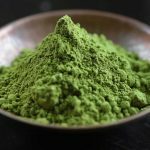 Kratom Leaf has been in use for hundreds of years by people in Indonesia, Thailand, the Malaysian Floristic Region and surrounding areas. People have been using it for increased energy in smaller doses, sedation in bigger doses, dysentery and pain relief. They would chew the leaves, grind it into a powder and consumed, made into a paste extract or boiled for tea and drank. 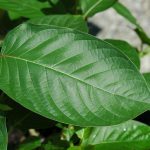 Kratom works by effecting the brains opioid receptors. It is however, not classified as an opiate. Because of this, the amazing herb can be used to fight opiate withdrawl and addition most notably that of heroin. Mitragyna Speciosa has been used in Thai ethnomedicine as an antidiarrhoeal, as a treatment for opioid dependence, and is even known to increase sexual performance. 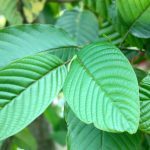 While not heavily researched in America, studies in the east specifically in Thailand among public health officials, academics and policymakers is that the use of Kratom and its dependence causes little to no health risks.